Based on the premise that high-quality programs for young children are an essential support for families-a part of the family ecosystem-this resource demonstrates how managers of programs for young children must understand the value of family, as well as the relationships between family, program, and community. 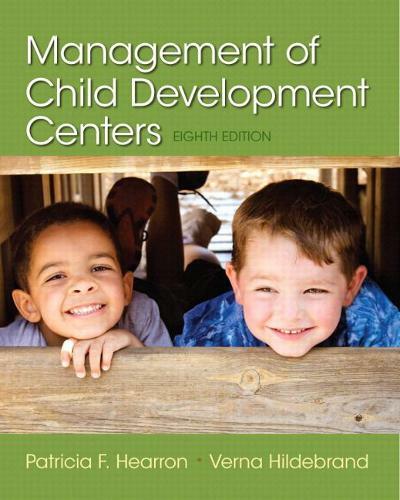 Part I of Management of Child Development Programs provides an overview of the demographic and theoretical context within which child development programs operate. Part II focuses on 12 core competencies, derived from a review of currently literature in the field and aligned with NAEYC accreditation criteria, including: personal and professional self-awareness; organizational, fiscal, and personnel management; human relations; facilities management; health and safety; food service; educational programming; family support; marketing and public relations; assessment and evaluation. The Enhanced Pearson eText features embedded video and internet resources.